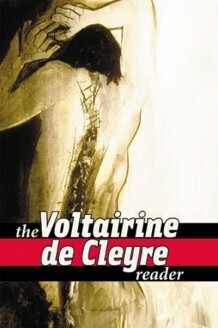 The Voltairine de Cleyre Reader, edited by Professor A.J. Brigati, is a collection of the work of the American female anarchist. The book’s preface by Barry Pateman provides an overview of de Cleyre’s life (1866-1912), her contribution to anarchism, and notes that while de Cleyre “preferred not to label her expressions of anarchism,” her essays “reveal her tendencies as an individualist anarchist.” The preface explains that de Cleyre was born into poverty and then shipped off for a convent education. The incident of the Haymarket Martyrs affected de Cleyre profoundly, and it is through this that she arrived at anarchism. De Cleyre’s pioneering attitudes towards marriage and the rights of women are some of the most interesting selections here.